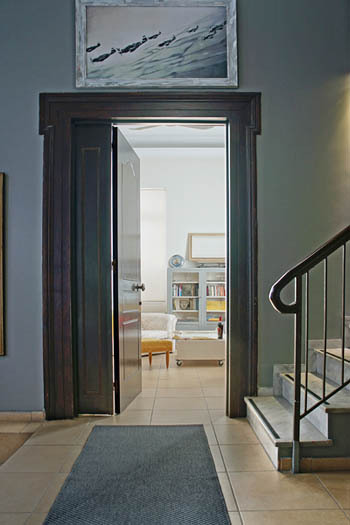 A beautiful neoclassical mansion in the historical centre of Athens, converted into a charming bed and breakfast with a slightly eclectic décor. 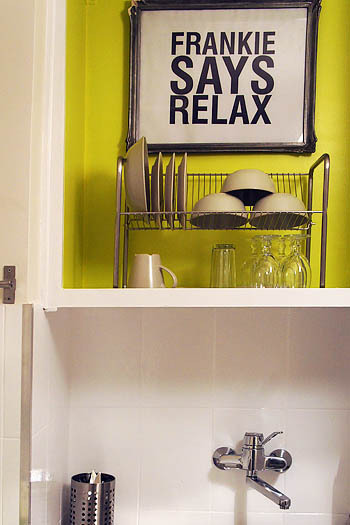 An exceptionally homey and welcoming place to stay. 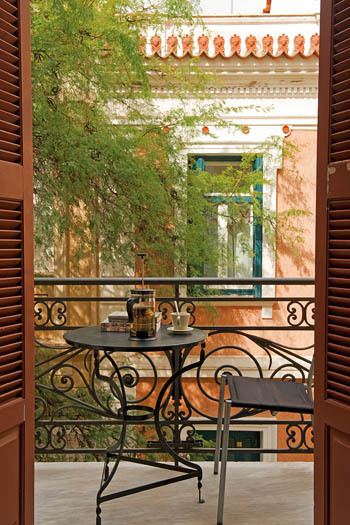 Alice Inn is a truly welcoming place to stay the centre of Athens. 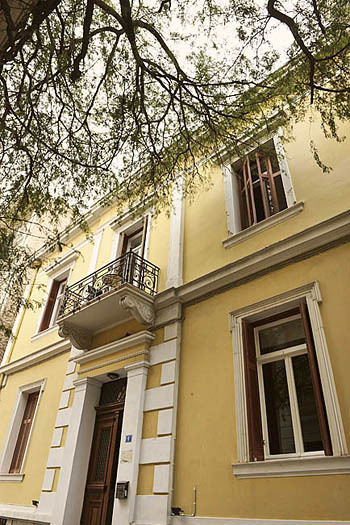 John, a young Greek/Irish architect has named his place in a quiet street in the historical neighbourhood of Plaka after his beloved Irish grandmother, whose dream it was to own a bed and breakfast. Alice Inn has become a lot more than that. While enjoying all the comforts of having your own suite (a large room or a small apartment), you will also feel like a houseguest at Alice Inn. If you wish, you can have breakfast in the privacy of your suite, but you are also welcome to join John for a more elaborate breakfast in his dining room. He will give you suggestions what to see and do in Athens, and you can borrow one of his bicycles to go around the neighbourhood. 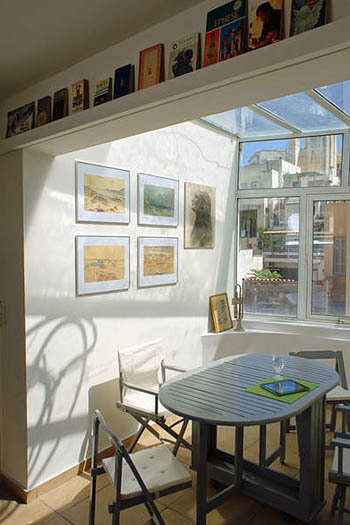 You can also grab a book from the library in his sitting room and sit out in the courtyard. The building, a neoclassical mansion, is a beauty. Previous users had removed some of its original features but John is bringing back the old charm, with a few modern and funky twists. 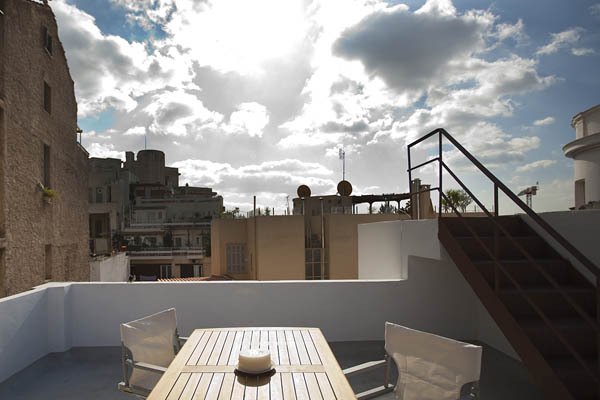 Three suites have a private space to sit out; the top-floor Harry Belafonte Suite has a wonderful roof terrace. 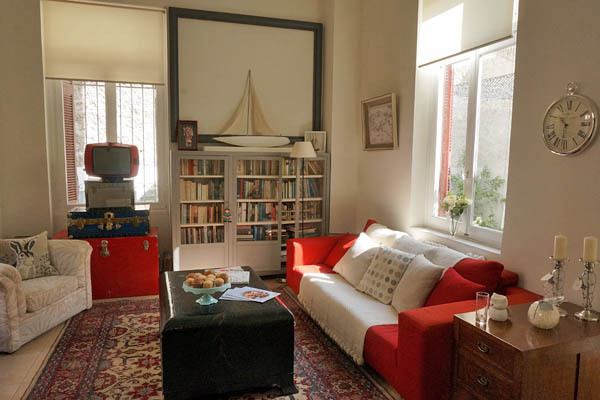 Homey, central and comfortable, this is a great place to stay, whether for a quick stopover in Athens, a city break or an extended period. The super central (but quiet!) 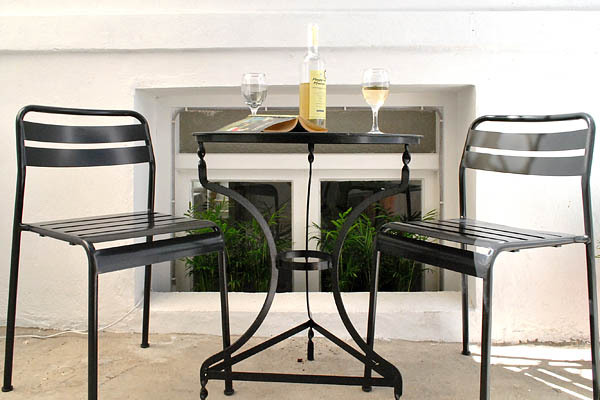 location, the inviting easy-going atmosphere, the slightly eclectic decor and the totally reasonable, affordable rates make Alice Inn an exceptional place to stay in Athens. John is a great host. Expect comfort without frills or excessive luxury. Bathrooms are on the small side. 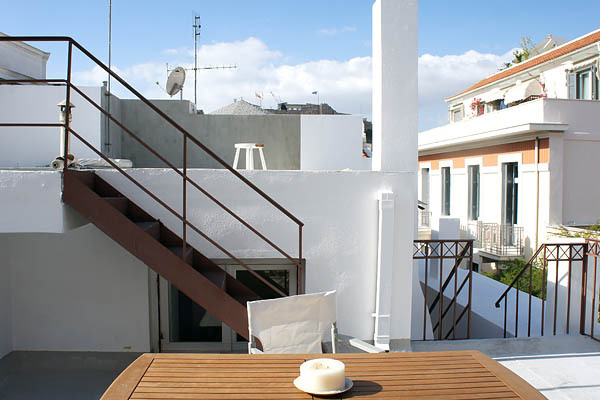 Prices for two persons from 55 Euro per night, breakfast and taxes included. For a full overview of room rates, please check out the online booking system of Alice Inn or contact John. 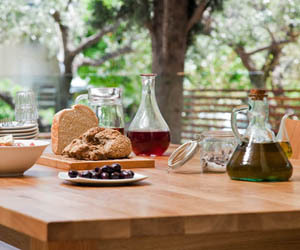 In the morning, John will bring fresh bread, homemade granola, oranges (for juice) and a few more breakfast basics to your suite, so you can prepare your own breakfast as early or late as you like. If you feel like something more elaborate to start the day with, like eggs Benedict, pancakes, yoghurt with fruits or simply some company you can also have breakfast in the common dining room. Suites are equipped with a few kitchen basics so that during the day you can prepare snacks, but of course there are plenty of restaurants at walking distance. Parts of Plaka are rather touristy and you may want to avoid the restaurants there (they are not bad, but there is so much better!) – I suggest you ask John for tips. He is also an enthusiastic cook himself, and sometimes prepares dinner for his guests. Alice Inn is not a typical family place, but children are welcome. 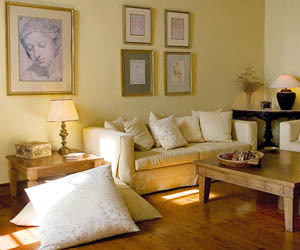 Some of the suites can accommodate one or two children, and a baby cot is available on request. 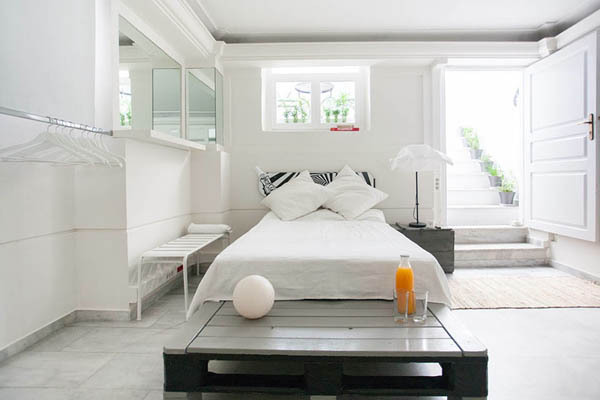 Ask John for the most suitable solution if you travel with toddlers, because the house was not designed as a totally safe environment for young children (marble floors, stairs, a roof terrace for one of the suites). The vicinity of Alice inn is nice for families. 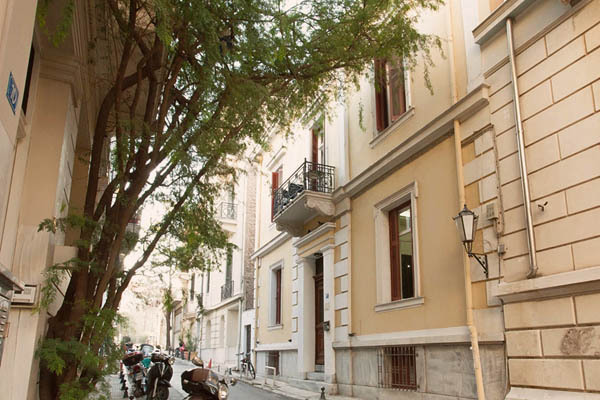 Your kids will definitely enjoy exploring Plaka and its little shops, and the National Gardens, where I used to take my own children when they were very young, are at walking distance. This the perfect location from where to explore Athens on foot. The Acropolis entrance is a 15-minute walk. To walk to the Acropolis Museum takes half that time. The Ancient Agora is less than 15 minutes on foot, and both the National Gardens and the charming pedestrian streets of Plaka are only a stone’s throw away. For great views over Athens (and beyond), take the funicular up Lykavittos hill (and walk down again through the pine forest) or walk up Filopappos Hill. Shop for souvenirs, artwork, crafts, handmade jewellery, leatherwear, olive oil soap, worry beads and lots, lots more in Plaka and Monastiraki. 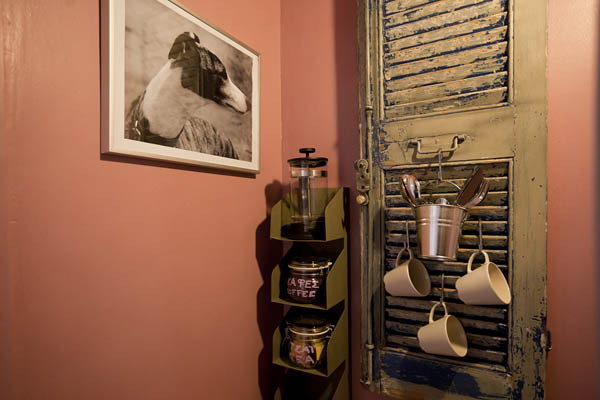 Look for antiques and bric-a-brac at the flea market of Monastiraki. Stock up on herbs & spices, nuts and honey in Athinas street. For designer fashion head for the boutiques in the high-end Kolonaki neighbourhood. In the summer, during the Athens Festival, catch a dance, music or theatre performance at the Odeon of Herodes Atticus Theatre. Or go and see a movie in one of the open-air cinemas. Any other time of the year, listen to (mainly) classical music at the Megaron Mousikis concert hall. Check also what’s going on at venues that are not so much on the tourist radar. The Half Note Jazz Club, Technopolis in Gazi, the Onassis Cultural Centre stand out. The Badminton Theatre, a short metro ride away, also has excellent shows (musicals, dance, concerts, theatre plays), mostly foreign productions. And for total immersion in Greek culture, go for after-midnight live Bouzouki music – there are several venues at walking distance. Start with the Acropolis Museum; you simply can’t miss it. 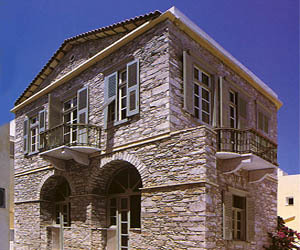 Other museums that are really worth it include the National Museum (ancient Greek statues, frescoes pottery and household items), the Benaki Museum (covering Greek history from the prehistoric times to the formation of the modern Greek state) as well as its annexes (for instance the Benaki Museum of Islamic Art), the Museum of Cycladic Art and the Byzantine Museum. 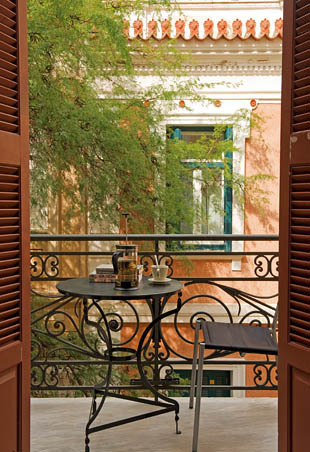 Alice Inn is in a narrow, quiet street on the outskirts of the historical Plaka neighbourhood in the centre of Athens. 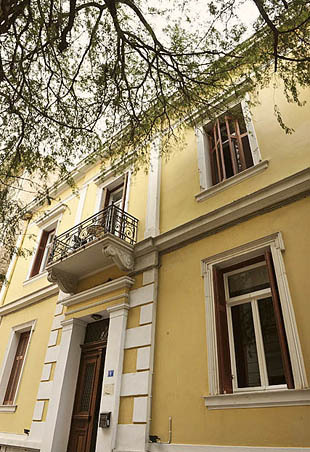 It is a super convenient spot: the lively pedestrian streets of Plaka, the Acropolis and its museum, Monastiraki with the flea & antique markets, the National Gardens, Syntagma Square (with the Parliament building), Ermou (the main shopping street) and more upscale Kolonaki neighbourhood are all within easy walking distance from Alice Inn. 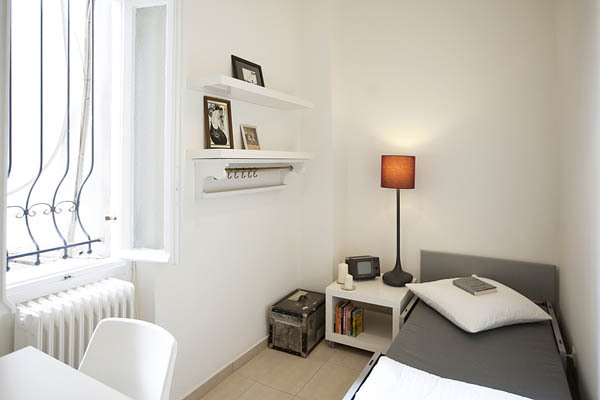 Alice Inn is a bit over 5 minutes’ walk from the metro station on Syntagma Sq. As you go out the main exit, cross the square (walking away from the Parliament building), and then turn left into Filellinon St. After 300 m. you will see Kon. Tsatsou St. on your right. 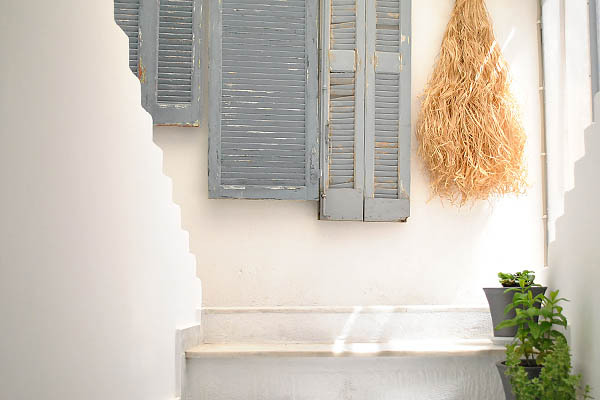 One of the most elegant, charming and homey places to stay in Ermoupolis on the island of Syros. 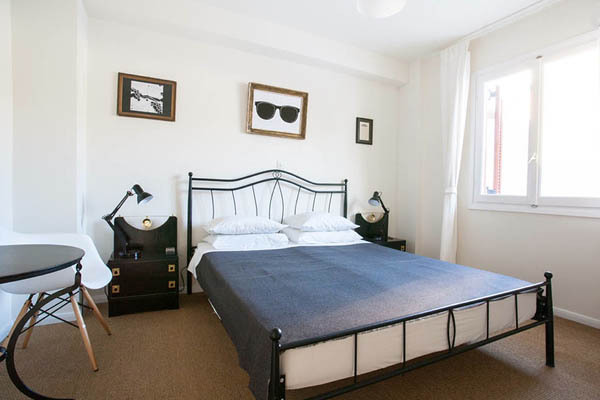 A boutique bed and breakfast with three bedrooms, a large sitting room and a cute courtyard. 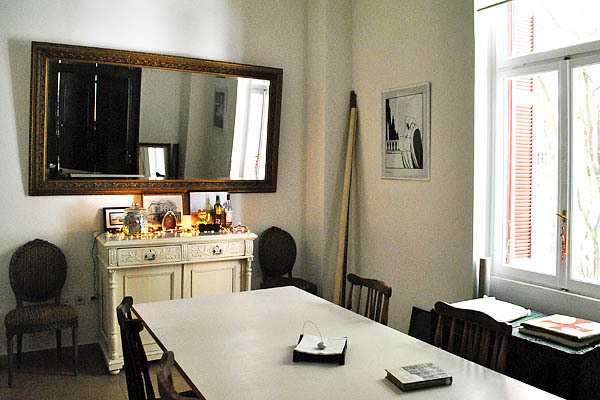 A friendly bed & breakfast with spacious rooms and suites in a quiet corner of the historical capital of the island of Syros. 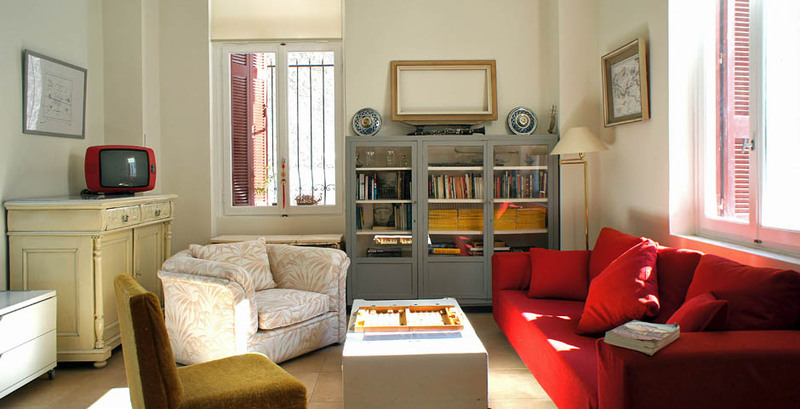 A charming blend of old and new, offering great comfort, and value! 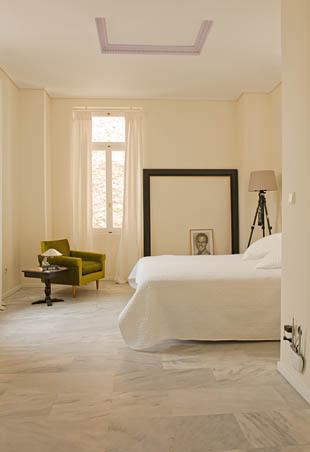 A historical family property close to old port of Spetses turned into relaxed trendy hotel. 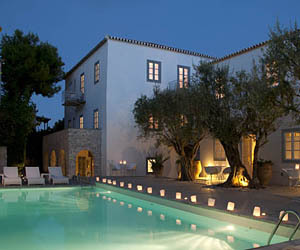 Beautiful rooms and suites (a blend of design & tradition), a great swimming pool and two large residences. 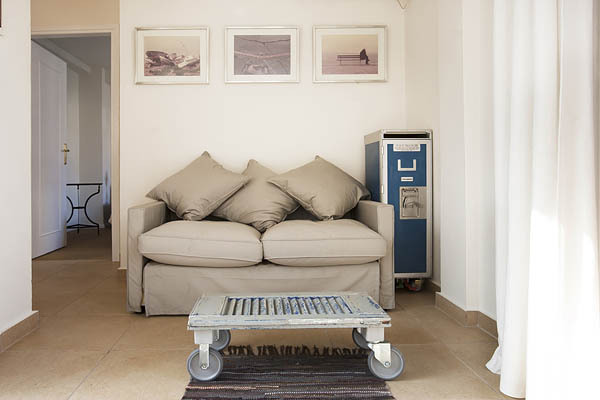 Fantastic, luxurious island villas in a quiet location overlooking the sea and the historical capital of the island of Spetses. The perfect spot both for relaxed family holidays and romantic escapes. 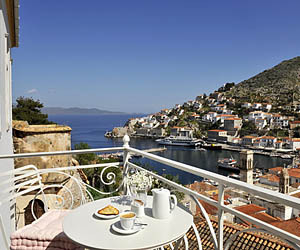 A glorious historical mansion overlooking the port of Hydra, now a hotel offering a great combination of old charm, modern freshness, great comfort and heaps of friendliness. Historical village and farmhouses converted into charming and comfortable self-catering accommodation (some with a swimming pool) on the island of Poros. Some unique weekend or holiday hide-aways. 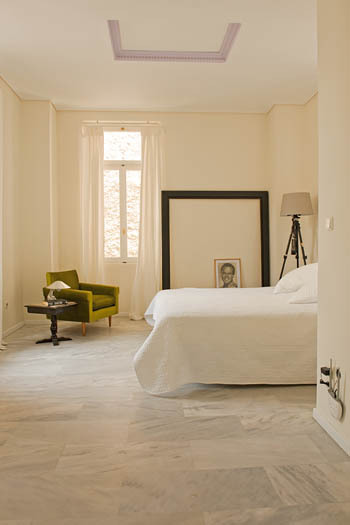 A relaxed and stylish city hotel in Kifisia, one of the most beautiful suburbs of Athens. 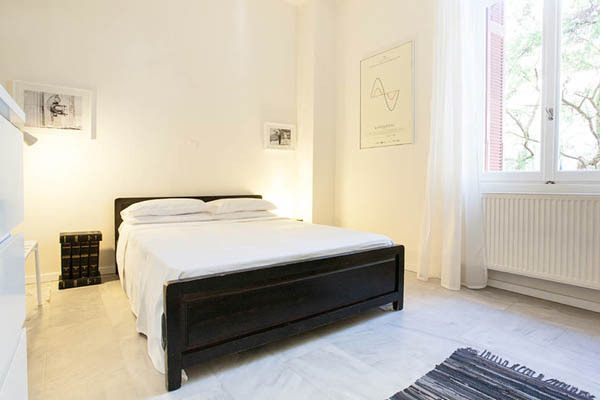 Very comfortable beds, a homey atmosphere and great meals prepared with healthy traditional Greek products. A 19th century summerhouse in an isolated spot on the coast of Hydra turned into a charming small hotel with six beautiful suites. An ideal spot for relaxing holidays and also a dream venue for weddings.